It is probably the season of book releases in the world of Personal Finance Blogs. One of the most talked about, heatedly discussed book for some time now has been the book by the lady behind the blog – Frugalwoods. Honestly, I like my money blogs to be well rounded and talking about all things money. With this blog though, as the name suggests, “frugality” plays a very big role. Considering just how popular the Frugalwoods are and how much debate their book “Meet the Frugalwoods” seems to have generated, it was only logical for me to then look it up in detail and tell you all about it. 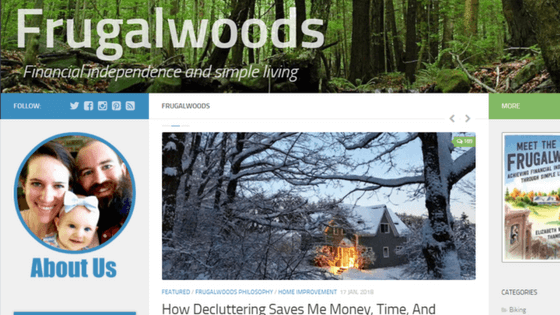 Frugalwoods is a blog mostly run by Mrs. Frugalwoods or Elizabeth Williard Thames, with her husband Mr. Frugalwoods sometimes making an appearance along with other members like their dog Frugal Hound, their daughter who has transitioned from Baby Woods to Little Woods and their car Frugal Mobile. The Frugalwoods lay emphasis on the value of frugality in all aspects of life, towards a path of financial independence and early retirement. The blog is quite personal, where they show different aspects of their lives which they have frugalised, be it food, occasions, shopping decisions or travel. They go really deep into the one aspect of their blog – frugality. While it was very microscopic for my liking considering a lot of things are not very relatable here in India, the posts which talked more macro and were more about overall philosophy gave me somewhat of a glimpse of just why they might be so popular. In a world, where most of us are into buying the latest and the best of things with our money, the frugalwoods advocate a philosophy where all they want you to do is think, think before spending your money. In view of the same, they also publish their own monthly expenditure statements. If you are looking to find a cheaper and in most cases DIY alternative in almost any area of your life, then this is the website to go to. Almost every post has pictures of the family and the Frugal Hound. While they started as an urban couple in Boston, they have now made their much-dreamt of transition to a 66-acre homestead in Vermont. Off late, with the launch of their book, looks like the Frugalwoods got embroiled in a controversy. The couple is quite a high earning couple and a lot of their recommendations then came across as phony. I got an idea about the controversy thanks to Chief Mom Officer talking about it in her post – Poverty Tourism – Is Frugality Really Just For The Rich. When I started going through their site, the one article that struck me was – The privilege of pursuing Financial Independence. 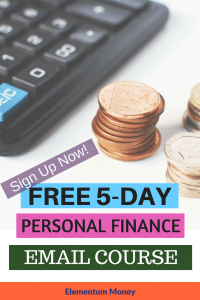 It’s a post from their first few months which lays out the fact quite clearly – they realize how privileged they are to be able to pursue Financial Independence at a young age. To me, this is the one post that all naysayers should have a look at. Sample this stand-out statement – Mr. Frugalwoods and I have made a lot of amazing financial choices but the game is rigged. They admit to having a jumpstart and well a springboard which had helped launch them towards their dream of financial independence which cannot be true for everyone. The post is a mix of gratitude and acknowledgement of financial privilege (I only mean relatively) and a must-read in my opinion. You can connect with Mrs. Frugalwoods on their blog, Facebook, Twitter, Instagram or Pinterest.